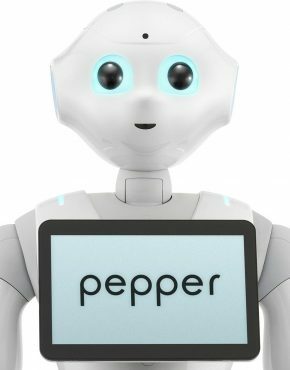 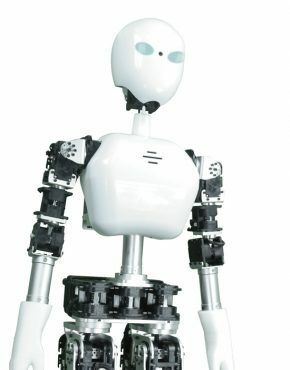 Wakamaru is a Japanese robot made by Mitsubishi Heavy Industries that is intended to perform natural communication with human beings. 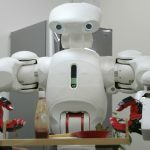 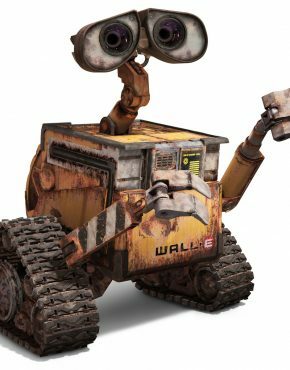 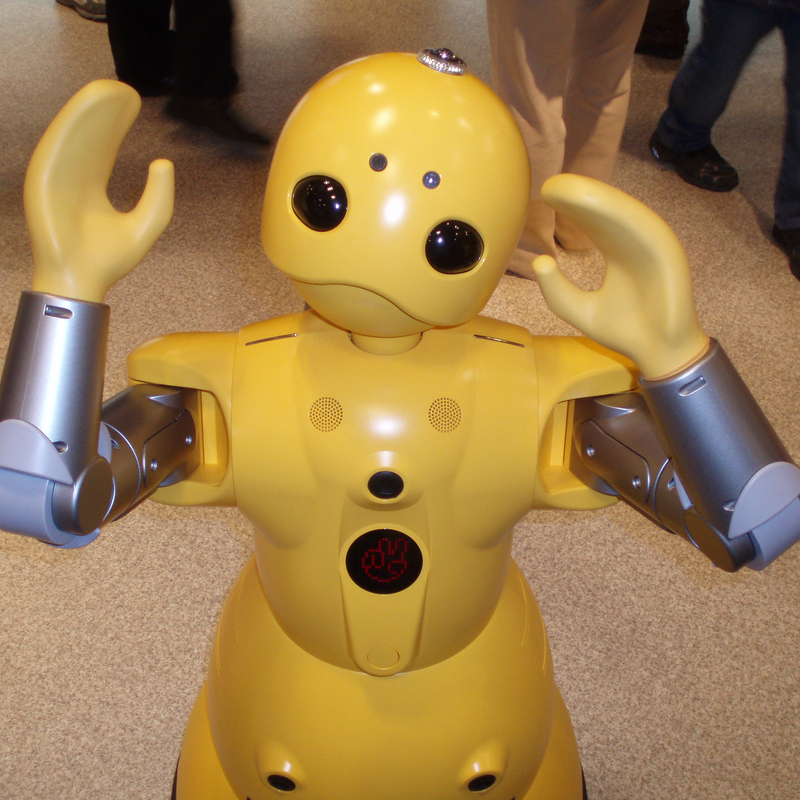 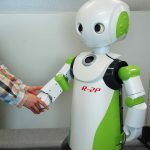 The yellow, 3-foot domestic robot debuted in 2005 at a $14,300-$15,000 USD price-point exclusively for Japanese households. 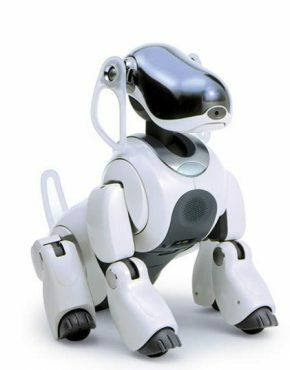 Through its development, the Wakamaru has been used for presenting at exhibitions, guiding customers, and working as a desk receptionist. 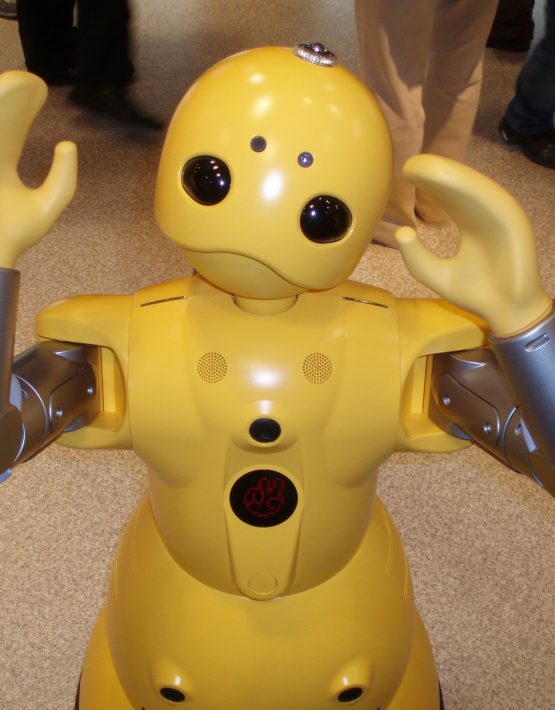 However, the Wakamaru has not advanced beyond its first model that was released in 2005.